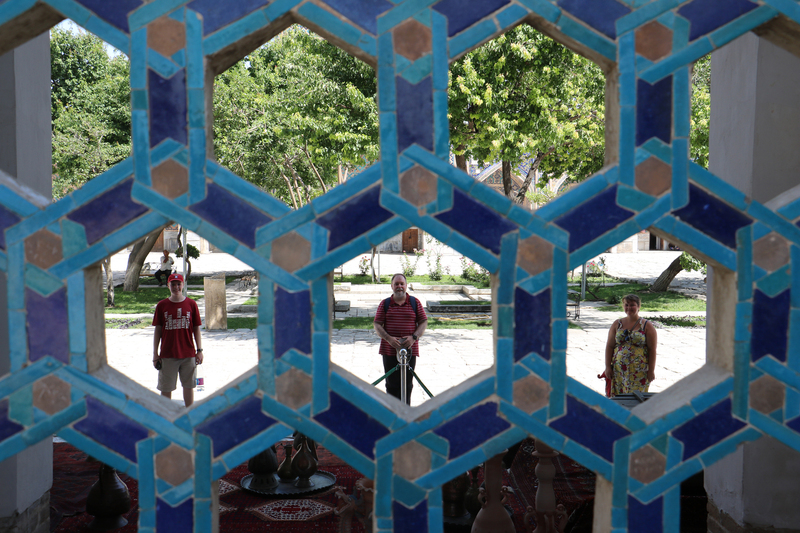 By far the most mysterious and unexplored of Central Asia’s ‘stans, Turkmenistan is a country slowly opening up its borders to tourism so now is the chance to experience all it has to offer while it still remains firmly off the beaten track. This budget tour shows off all that Ashgabat, sometimes called the “White City” because of the abundance of glistening white marble statues and buildings adorned with gold trim, has to offer. Although statues and pictures of the President for Life, Saparmurat Niyazov (more famously known as “Turkmenbashy”) are still seen on almost every street, all the parks, and at the front of ministry buildings, his successor, Gurbanguly Berdimuhamedow has begun making his own mark. 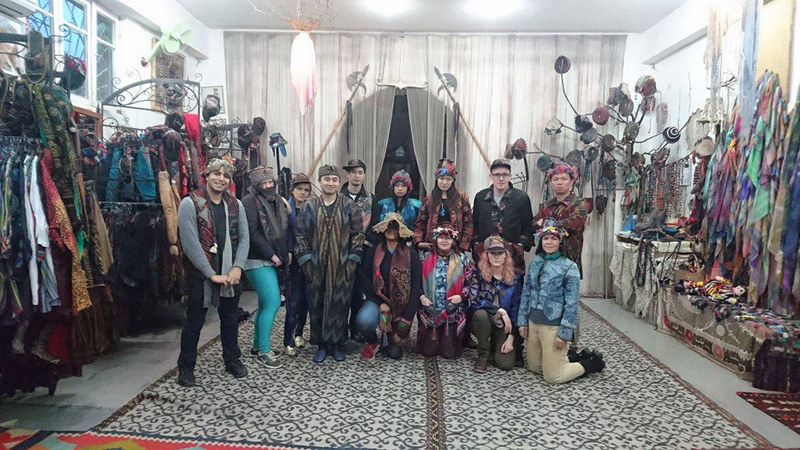 Here not only will you become one of the small group of foreigners to visit Ashgabat, but you will join the even smaller group of foreigners who have ever had the opportunity to take part in the colourful Independence Day celebrations, getting a truly unique insight into how the Turkmen celebrate. If you thought an Olympic Opening Ceremony was spectacular, or Korean Mass Games was impressive, think again – this will make these look like primary school plays. Leaving Ashgabat after the Independence Day events, we’ll drive through the Karakum Desert, visiting Ancient UNESCO world heritage archaeological sites on the Silk Road, the “Gates of Hell’ and an underground thermal lake. This is a tour well and truly designed for the intrepid traveller so join fast – it’s going to be a popular one! 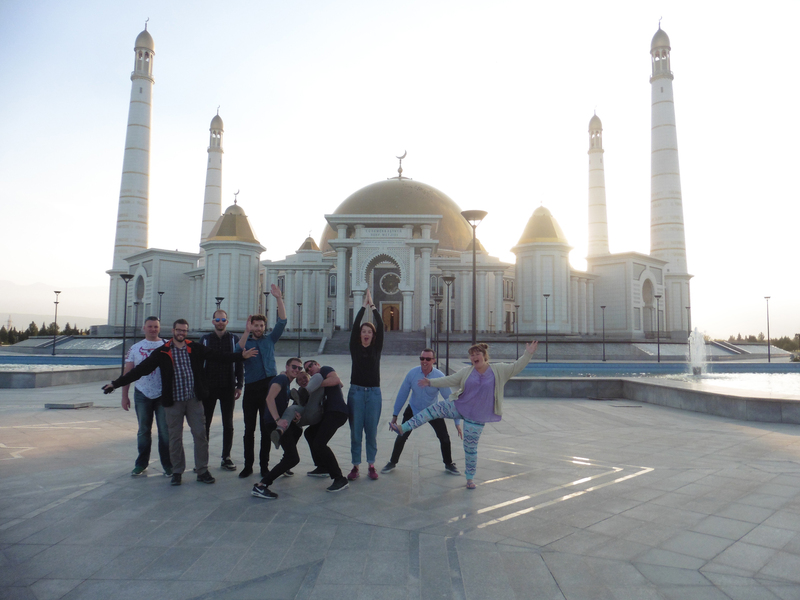 If you would like to experience some more of Turkmenistan while you’re there, why not join our Turkmenistan Independence Day Tour. The LOI application process is quite complicated and time-consuming, and Independence Day is a special time of the year with extra restrictions. For the best chance of approval, please get in at least 3 months in advance. Late applications are accepted but the approval rate goes down, in most cases you will get a full refund if the application is rejected. 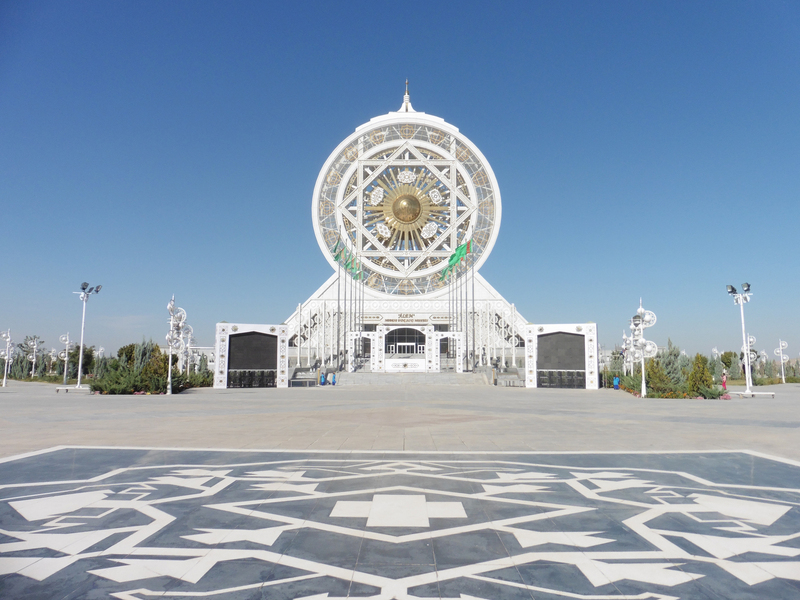 Driving tour of Ashgabat’s main sites including Independence Park and Independence Monument, the Monument to the Constitution, the Arch of Neutrality, Lenin Park, Ertogrul Ghazi Mosque and the Alem Centre which is the complex that is home to the Wheel of Enlightenment, the largest indoor ferris wheel. And yes, for just $1 you can even take a ride! If the food court at the Alem Centre’s open we’ll have lunch there, however, it is often closed in which case we’ll go to the Russian Bazaar. Either way, lunch will cost around $1-3. Visit the university bookshop where you can find books written by and about the president, Ashgabat and Turkmenistan in English. They also have postcards and posters, and if you’re lucky they might even have a copy of the Ruhnama, the book written by Turkmenbashy himself. Dinner and drinks at a pub in the city centre which serves shashlicks, kebabs and local draught beer. Approximately $8 pp + drinks. Visit Nisa, a UNESCO site which was once the capital of the Parthian Empire, a half an hour drive north-west of Ashgabat. Admission included. Dinner at Ak Altyn Hotel’s inside or open air restaurant. Approximately $12 pp. Independence Day concert at Kopetdag Stadium. There will be performances of local popular artists and also traditional folk music and dance. A concert that tourists aren’t usually given access to, this will be a highlight of your trip. Visit the Akhalteke Horse Sports Complex and see the end of the horse racing season festivities. Horse racing is one of the President’s favourite hobbies and it has become a very important part of Turkmen life. An Akhalteke horse is even on the national emblem. We will see some races, then the presentations of prize winners in each race category, interspersed with performances of local dancers and singers. And if we’re lucky we might even be at the same event as the President himself. Drive 250km to Darvaza (The Gates of Hell) in 4WD’s. Stop in Bakhordok to have lunch in a chaykhana. Approximately $6 pp. 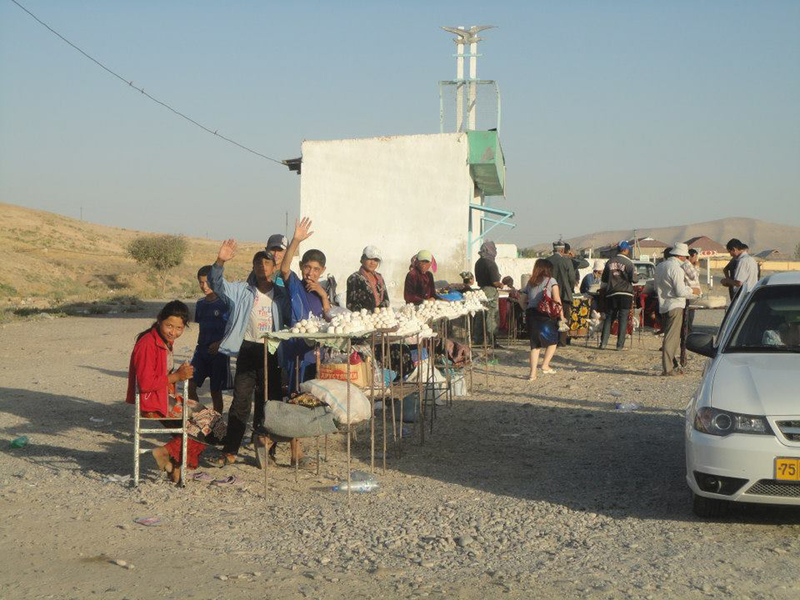 Stop at Erbent en-route, one of the few nomadic villages still left in Central Asia. Pass through the ruins of Darvaza village. Traverse the sand dunes of the Karakum Desert to get to Darvaza, the flaming gas crater. You can either buy things at the bazaar the day before to cook over a campfire or we can arrange a dinner box for you (approximately $7 pp). Camp in tents near the Gates of Hell. End of tour, transfers to the airport according to your flight times.